New to the Largo Bay range, Baz and Kez both use the latest development in sports/active footwear construction for its inspiration. 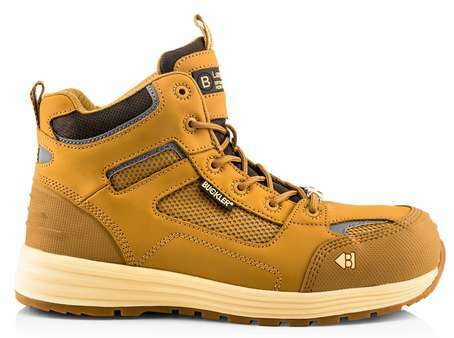 Injection moulded thermo-polyurethane uppers bond with Buckler Boots own non-marking rubber sneaker outsole to give ultra lightweight, breathable safety trainer and boot styles to EN S1 P HRO SRC non-metallic specification. Baz and Kez are also ESD certified and are available NOW! Designed for lighter and indoors duties these 3 new styles bring real contemporary street style to the workplace.